For those of you who have no idea what I am talking about, eyelash growth serums are applied at night, along your top lashline. The applicator deposits a small amount of a clear liquid and after weeks of consistency your lashes will grow longer than they have ever been before. It’s a nice alternative to using fake eyelashes/eyelash extensions and when you think about how much you might spend on both of these products/treatments can even be an economical option. So yes, the tube does cost near £90 and that particular tube won’t last you longer than maybe 5-6 months but it’s fun to see how a product like this can make a difference to how you feel about yourself. It’s been a nice little fluttery boost. Now a word of warning to those of you who may now hit eBay and look for a tube…don’t. I did that at the beginning of the year and bought what I thought was a “right bargain”. It arrived sealed and seemed totally legit but after using that and then the genuine article I can confirm that I bought a copy. What was in it I have no idea….probably something as generic as washing up liquid. So as much as it pains me to say it, don’t pay anything other than full price. It's just not worth the risk. 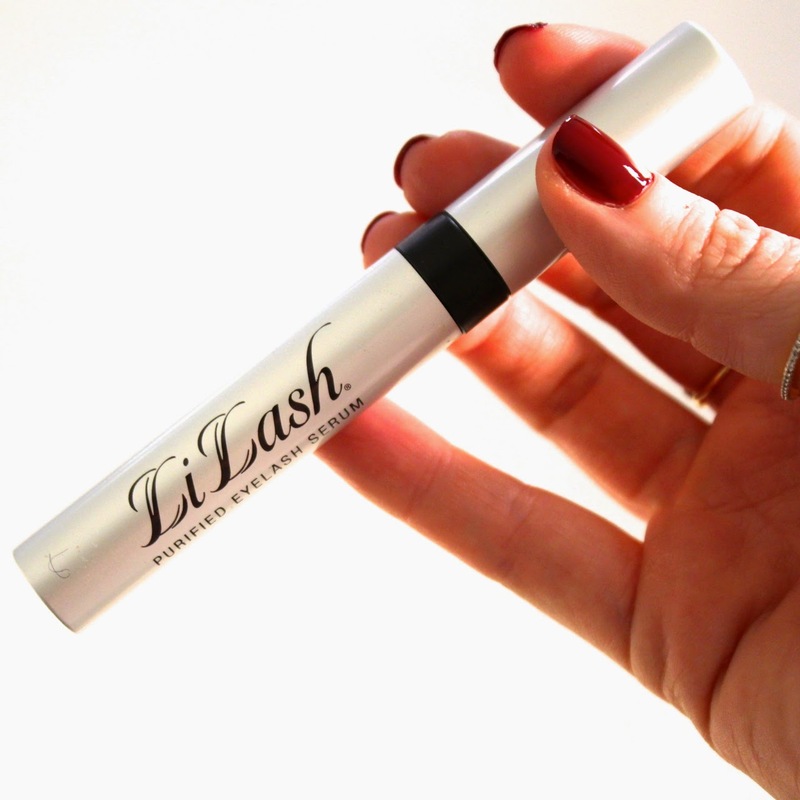 Have you been trying any of these lash growth serums lately? There are so many on the market I’d be interested to know what ones you rate or even hate. Find out more about LiLash here - Link! I've never tried Lilash, but am definitely curious! I received a sample of a growth serum a couple years ago from a brand that I can't remember (useless I know!) but it was a bit of a dud so it put me off of them all. Maybe time to give it a go again? God I would love to try this. I'm kind of obsessed with having long curly eyelash and am constantly using my eyelash curlers and putting mascara on through the day. I've found a tube on Amazon for £56, that wouldn't be a fake would it? The reviews are amazing, I'm so tempted! The last one I used was Enormous Lash, which did nothing for me. I had one four years back that worked wonders, but they changed the formula, and since then I haven't been able to find a replacement. I've tried so many lash serums. None really worked well. I am currently using RapidLash and it works pretty good, but not amazing. I used to use prescription Latisse and that was amazing! But the price was just unsustainable for me. I'll have to look into this LiLash. I've never heard of it before. Like a good hair day, it's amazing what a long set of lashes will do for your mood! The mascara you are wearing on the photo looks amazing. Is bourjois one volume? Your lashes look amazing Laura, but £90 is a little steep! I use the Diorshow Lash Maximising serum & am really pleased with the results, it even makes the applicaton of mascara better if you use directly before & at £24.50 a much more reasonable price. Thankyou for this review and for the eBay heads up - I'm always wary of buying beauty products from there, especially when my eyes are concerned! It's a beautiful product that I really want to try out someday - must get saving..now! Laura your lashes looks amazing! My spa used to sell LiLash, and I tryed them once. Unfortunately for the price I paid, my expectations failed. Currently trying Rapidlash for much cheaper price throu Costco.com and must say I am happy. Thanks for sharing, I might give it a second chance if I come accross cheaper price. I often buy the generic Careprost, same product but not manufactured for the eyelash growth 'side effect'. It can be applied in the same way using a sterile eye/lip liner brush, and is much more economical - but a bit of a faff none the less. Your pictures are lovely. who takes them? Nice post. I use Careprost eyelashes growth serum to grow eyelashes longer, thicker and darker. I really like this eyelashes enhancer; now my eyelashes are really look like celebrity. I buy Careprost online from onlinegenericpills shop; they guide me how to use it and offer me in lowest rate. I really like this eye drop and now I am suggesting this eyelashes growth serum to my friends also. Yes I can guarantee this because i am personally user of this product and it gives me exactly the same results i was expecting. I bought careprost online and lilish by local store back in 2015. How beautiful!I like your eyelashes.you can choice mink eyelashes products. Order careprost online to have thicker eyelashes.